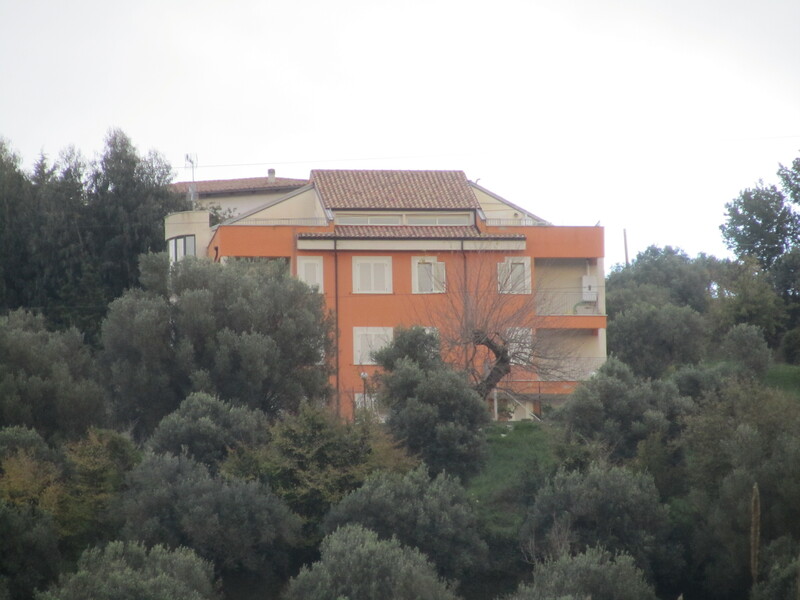 We now have a place in Italy with a spectacular view and it has a working kitchen and a bed to sleep on. We are flying over for Thanksgiving. We will spend 11 days in Velina. We fly into Rome (there is great non stop flight from Philly to Rome on US Air). WE get our bags and go through customs without a problem. We head for the car rentals which are in the parking garage connected to the terminal. We rent our car and all is well. They tell us the car is on the roof level. After searching the entire level and clicking our car FOB like crazy, there is no car to be found. We return to the downstairs location and find the car is there only 4 spaces away. Oh well this is Italy. We drive out of the parking area and onto a connector highway between the airport and the city of Rome. WE exit onto the Autostrada A3 south towards Naples. WE are on our way. Just before Naples we stop at an Auto Grill (rest area). Unlike our turnpike service areas, the food is fantastic, fresh and just made. We order two Capri Panini’s (Buffalo Mozzarella, Tomato and Basil). After filling our stomachs we head south on the Autostrada. Jo Anne wants to buy some dishes (hand Made) in Positano. We decide to spend the night there. South of Naples the road narrows and winds along the coast to Sorrento and Positano. We head to the pottery store (which is located on the only road through Positano and it is one way). There is no parking so I pull into a drive at a small hotel and wait with the car while Jo goes to the store. She comes back with no dishes in hand! She says the owner wants me to see them as well to make sure I am happy as well. He doesn’t know my motto is “Happy wife, Happy life”. With dishes in hand we head around the road to the Main Amalfi Coast Road and head back towards Sorrento to get on the beginning of the Positano road. We check in to our hotel and take a walk. Positano is a city of millions of steps and one road. We buy some lemon cello for our house and later find a place near the beach to have dinner. The water is wild, it is raining but we are in Positano and love it. The next morning after breakfast we leave and take the Amalfi Coast Road east towards Salerno (a very large port town). The road is narrow with many small tunnels. You have to keep your eye on the road for trucks coming the other way. They barely fit by us. Just before Salerno we stop at a ceramics factory and buy more things for the house. Now we head east onto the A3 South again. 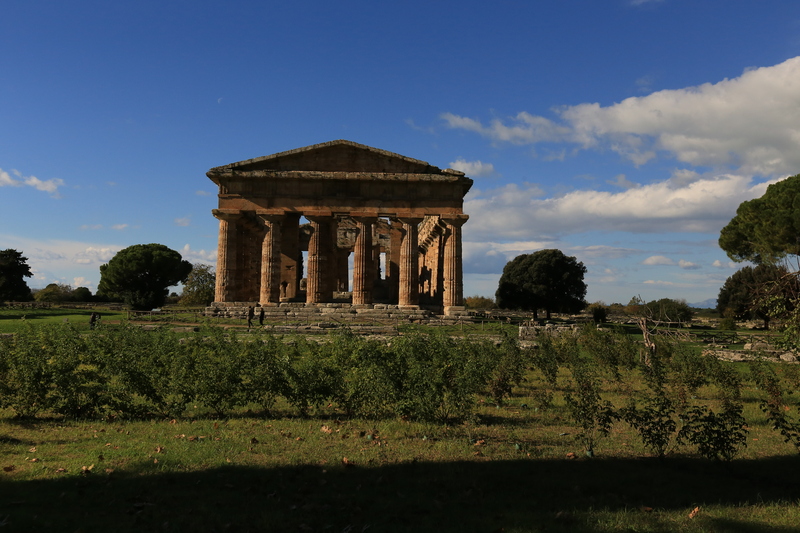 We exit at Battipaglia and head south past the famous Greek ruins at Paestum and beyond to Agropoli (the largest city in this area). From here we head south-east to Velina. After a drive through Velina up the hill and onto a dirt road we are home! Our house is a condo (one of ten units) see above picture. Tomorrow we will discuss opening the house up, getting through the electronic gate and turning water, electric and gas on. We will also discuss our first day shopping in Velina.